Any brand that has enjoyed success through a traditional website or blog may now be ready to expand their offerings to new formats. With so many different forms of content to consider publishing, it can be difficult to discern which avenue to take. Many people are finding it worth their while to move content strategies into the world of online videos, as the process of publishing yourself has never been easier. 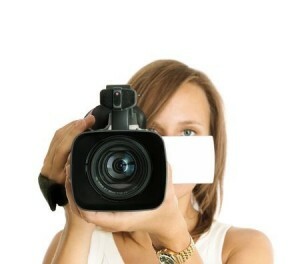 With video, you have a whole world of opportunities available to express ideas and opinions in a variety of forms. But how can you use YouTube in this instance, namely to boost brand recognition and engage more people with all forms of your content? We’ll discuss a few ways to quickly generate brand power while using YouTube. What do all the big brands have in common? Well, several attributes that you might not see on their YouTube channels, but one of the few common denominators is that many successful brands on YouTube have one or more subscriber videos, dedicated solely to encouraging others to subscribe. How do you make such a video? Once you have several different videos uploaded to YouTube, you can then take snippets (the better parts) of each one and create a video made solely from those. This can then be infused with requests to subscribe and share, and the sharing power of such videos will help further augment your brand’s reach as it starts pinging servers on social media and abroad. Another common thing you’ll see with huge YouTube channels is that the default thumbnails for their videos – as well as several parts through each video – feature their logo and clear text, explaining what each video is about. Logos should always be included in each video, and featuring them before and after the main content is recommended. This will help associate the videos you make to your own brand (otherwise, it’s common for people to watch videos and not remember where they saw it from). There is also a feature within YouTube, the InVideo programming feature, that allows you to add a logo to the top corner of all of your videos. Finally, give your newly-found YouTube presence an added boost with the power of social media! It isn’t difficult to get people to watch videos on sites like Facebook and Twitter, but you will need to build a core following of people first in order to get them out to the maximum number of people. At first, you can encourage friends and family to share, but ultimately, you’ll need fans to do this work for you in order to harness true potential. People are twice as likely to watch a short video clip on Facebook as they are to read an article, so remember that keeping your videos short is highly recommended for pinging servers on social media. Building a YouTube brand takes time, but the basic elements are easy to understand. Always brand your content on each and every video, create subscription videos to promote the specific act of bringing others into your flock, and use social media to get the word out even more! Great tips about the subscription video on putting some of the best content together to build my list base in regards to having my logo attached as well. I have been putting my name and contact info with each lately though this is another step above!